With a stellar cast, superb set and sound design and most especially the remarkably executed puppetry, War Horse is well worth the ticket price. What I feel is truly priceless about this production is how it is able to so masterfully inject life and emotion in to what is essentially a mechanical prosthesis to invoke in its audience a genuinely emotional response. Based on the 1982 novel by Michael Morpurgo and directed by Alex Sims, this page to stage adaptation by Nick Stafford is an extraordinary tale told through a rich tapestry of arresting visuals, haunting song and breathtaking physical theatre. Set in 1914, War Horse tells the story of Joey, a young and spirited horse who finds himself at the face of battle when he is sent to work for the English cavalry in World War I. As Joey sets off on his undoubtedly dangerous journey as a war horse, we also follow sixteen-year-old Albert who, determined to be reunited with Joey, goes on a perilous mission to bring his horse home. The highlight of this production is definitely the skilled and intricate use of puppetry to portray the animal characters in the story, namely Joey, the play’s titular character. It is no easy feat getting the audience to invest in a character that is not human let alone one that is inanimate. However this is accomplished effortlessly thanks to the exceptional workmanship by Handspring Puppet Company, outstanding horse choreography from Toby Sedgwick and a team of extremely talented puppeteers. The trio of puppeteers who bring Joey to life do so with staggering believability; they are a well-oiled machine, seamlessly and intuitively working as one unit to make you suspend your disbelief and have you care, feel and root for the character. It is astonishing to think that even though you are clearly looking at a puppet and reminded of this constantly as the puppeteers are always in view, all of this never distracts or detracts from the story and seem to just fade in to the background. You are completely convinced that you are seeing a real horse before your eyes and the same can be said of all the other puppet characters. Puppets aside, the human characters are just as well cast and all give excellent and polished performances. I also really liked the simple ‘scrap of parchment’ that makes up the backdrop of the stage which is used to clever, creative effect to convey time and location throughout the narrative. Another thing that impressed me was how well the space was used. There are often many performers in the same scene at one time but all aspects of the stage are so well organized and choreographed that it never once felt cluttered or over-crowded. 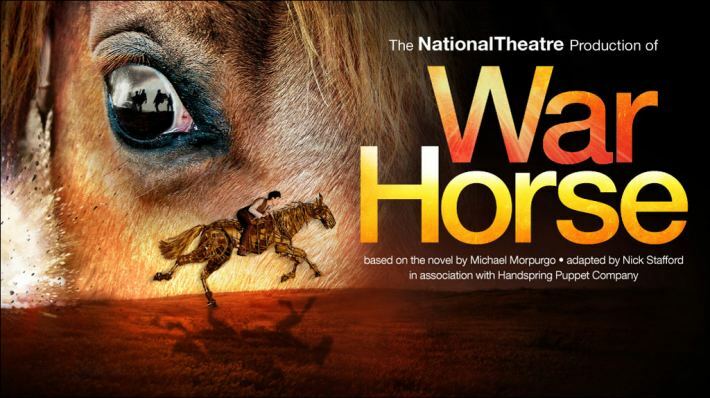 War Horse is an absolute theatrical masterpiece – utterly gripping, incredibly moving and emotionally stirring. It provides what I think is quite a unique perspective on war and delivers a powerful message of friendship, unwavering loyalty and unrelenting courage even at the face of adversity. 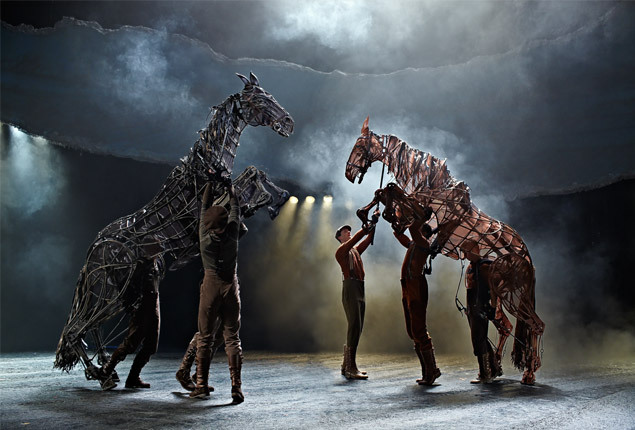 War Horse is at the Bord Gáis Energy Theatre until April 26th. For more details and to book tickets, click here.